The SaddleBrooke Ranch Brisa Floor Plan is DISCONTINUED as a New Construction home. RESALE homes are AVAILABLE with the Brisa Floor Plan. 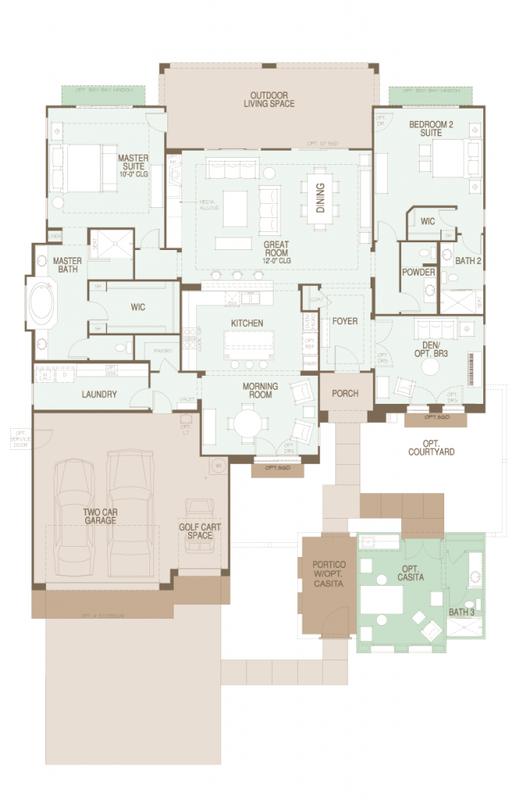 The Brisa Floor Plan is in the Estate Series of Homes at SaddleBrooke Ranch and has 2,615 Sq. Ft. with a Casita option. For the couple that wants a spacious and distinctive retirement home or winter retreat, the SaddleBrooke Ranch Brisa Floor Plan may be perfect for you. Are you thinking of buying a home in SaddleBrooke Ranch or another 55+ adult community? Finding the right home can be a challenging process. But we can make the process much less stressful for you.